The Pirates and Indians did the throwback thing last night, dressing up as the Homestead Grays and Cleveland Buckeyes, respectively. 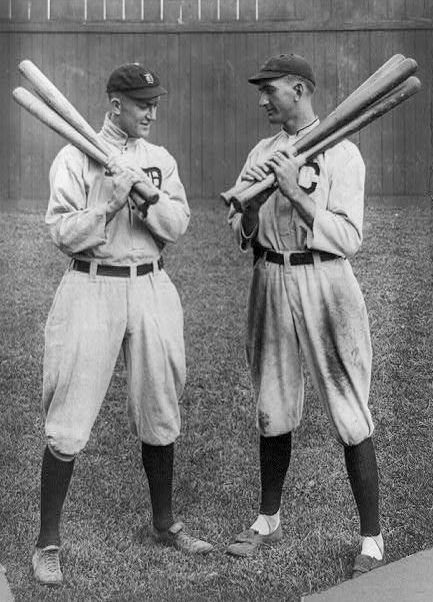 Too bad they wore their regular batting helmets, but they still get points for the cool rear-jersey numbers, the contrast-colored flap pockets, and the absence of the MLB logo on the rear collar. But my favorite period detail was on the pants, where they put a belt loop right at 12 o’clock. This used to be pretty common way back in the day. Since the belt loop was centered, many players wore their belt buckles off to the side — sometimes way off to the side. But at some point the center loop disappeared and belt buckles moved to 12 o’clock. Good to see the people at Majestic being true to this detail when making the throwback unis (even if most of the jerseys were too baggy for the waistline to even show). Speeaking of belt loops, when Barry Bonds hit his Babe-tying homer last night, he missed a loop. Pretty sloppy, but it could’ve been worse: At least his fly wasn’t unzipped, like Ray King last June. 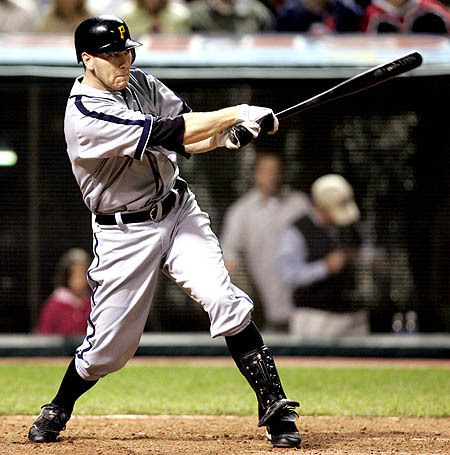 The White Sox are wearing 1906 unis today (probably to spite the Cubs, who lost the ’06 Series to the Sox), except 1)they’re wearing black socks instead of white and 2) the collars are wrong (see link above for actual ’06 uni). The Grays uniforms were very cool. Liked those a lot. Unrelated note, saw a cardinal pitcher on the David Eckstein catch top plays highlight, has striped stirrups on. Wish all the Cardinals would wear those. Hmm…I’m wondering what that logo is on the sock in that first picture of the Buckeyes jerseys. Possibly a ‘Cooperstown Collection’ logo? I think the logo on the sock is just a sticker with the players number or name on it. Juan Pierre and Todd Walker both have what looks like the same thing on their socks, and they have their number on them. Just figured our those cardinal “stirrups” are the fake stirrups, that are actually a sock made to look like a stirrup. The Cardinal pitcher in question is Anthony Reyes, and I’ll be commenting about his socks in tomorrow’s blog entry. As you’ll see, I’m unsure if he was wearing real stirrups or faux ones — couldn’t find a good enough photo. Further details tomorrow.